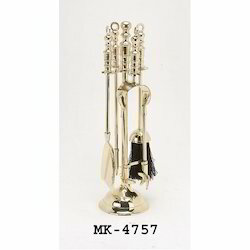 Being a long time manufacturer and supplier of brass handicrafts, we are today producing and exporting these handicrafts to many international destinations. 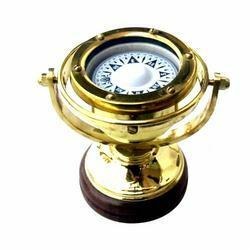 Our range of brass handicrafts includes sundial, chess board with brass crowns, incense holder, magnifying glass, brass handicrafts and incense holder. 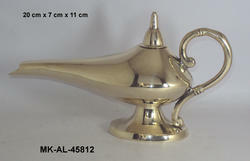 Brass decorative Aladdin Lamp, genie lamps, brass shiny finish aladdin lamp, brass antique aladdin lamp. We are manufacturer and exorter of all kind of metals utilities. We are manufacturer, supplier & exporters of Brass Tibetan Chakra Singing Bowl Set for wedding. 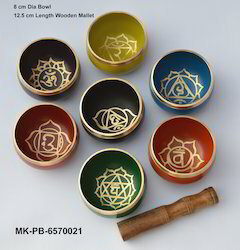 This is a set of seven colourful Chakra singing bowls. 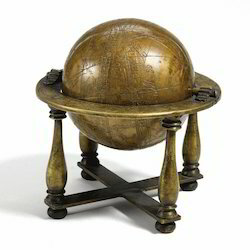 These singing bowls are between 8 to 9 cm in diameter and weigh 1.750 kgs together. These bowls sing very easily and produce rich, harmonic and soothing sound that lasts for long duration. Together they produce energetic and vibrating sounds which provided stress free relaxation. These singing bowls has been used for meditation, music, relaxation, personal well being, healing energy and chakra creation etc. for generations. They are used by a wide range of professionals, including health professionals, school teachers, musicians and spiritual teachers. 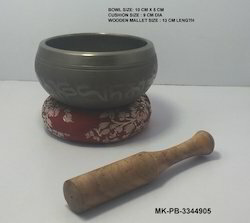 Singing bowls are used in health care by psychotherapists, massage therapists, cancer, and stress and meditation specialists. They are used to help treat cancer patients and also for post-traumatic stress disorder. They are popular in classrooms to help facilitate group activities and focus students' attention. This singing bowls were hand-crafted in Nepal. This singing set includes seven singing bowls and tstrikers (mallets). Cushion Size 9 cm dia. 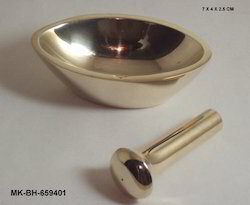 The metal singing bowls are antique reproduction articles. In ancient times sound was used as a powerful tool for healing, meditation and self-transformation.The knowledge and skills of this art have been taught over many generations and are available in present days. Everyone wants to learn about the secret of Tibetan Singing Bowls and explore many ways on how to play the bowls not only for self relaxation but for therapeutical purpose as well Healing therapy bowl with wooden mallet & cushion. 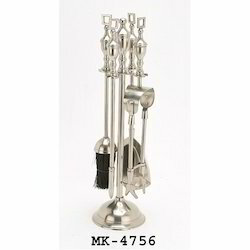 We offer an exclusive range of metal, Designer Brass Hookah Elegantly crafted brass work. This brass hookah is fit for a king or a sultan or a shaykh or even a queen! We have a vast collection of hookahs and this one is one of them. We are manufacturer, supplier & exporters. We offer a vast range of all types of brass Brass Mortar. Packaging Details: As per buyers instruction. 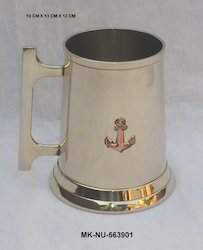 We offer Beer Mug, Nautical style beer mug, Brass beer mug with copper anchor. 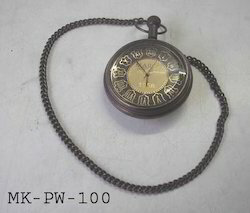 We offer a range of antique Pocket Watch with Attractive Dial, also galled gandhi watch. 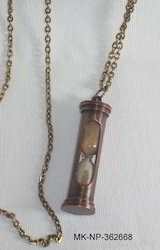 Brass Nautical Sand Timer Pendant Necklace, Hour glass pendant necklace, sand clock necklace, maritime necklace, marine pendant necklace, antique sand timer pendant necklace. 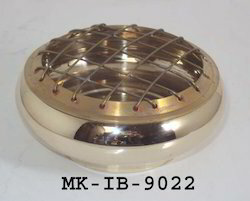 M.K.International has earned an impeccable reputation as exporter and a renowned manufacturer since its establishment, M.K.International has been catering to the requirement of premium quality handicrafts, gift items, home decor, wedding decoration, X-mas decoration. Our biggest strength is its capability to customize designs & manufacture as per the latest trends in the international market. The range is absolutely exclusive & clearly reflects the designer edge over the other available items in the market. Special designers & stylists at M.K.International work constantly to design as per market trends and requirement. Continuous product improvement and quality enhancement in both design & cuts are the prime factors behind the company's success. Embellished with intricate patterns and elegant designs, our wide collection of art simply knows no limits. Our clientele comprises of individuals, wholesalers, stores and distributors worldwide. 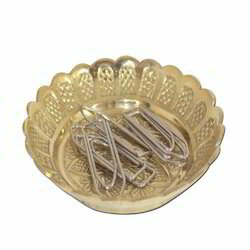 Brass handicrafts, Brass Home Decors, Metal Gifts, Metal Handicrafts, napkin Rings, Christmas napkin rings, beaded napkin rings, wedding napkin rings, corporate gifts, brass corporate gifts, diwali gifts, wedding gifts, business gifts, candelabras, Christmas decoration, table decoration, bowls, platters, table decoration, knife rests, table cloth weights, table place cards, nautical gifts, nautical decoration, t-lights, tableware, nautical instruments, nautical antiques, nautical antique reproduction, nautical theme gifts, wooden handicrafts, wooden boxes, wooden decoration, antique reproduction, fire place accessories, fire place tools, horn-bone handicrafts, Christmas ornaments, Christmas hangings, silver plated gifts, silver plated articles, silver plated tableware, E.P.N.S. wares, silver plated wedding gifts, silver plated bowls, gold plated wedding gifts, gold plated bowls, beaded placemats, beaded coasters, aluminum handicrafts, aluminum bowls, aluminum platters, wrought iron handicrafts, wrought iron garden accessories, copper ware, copper handicrafts, brass antiques, copper antiques, pewter antiques, diwali gift boxes, sweet boxes, chocolate boxes, dry fruit boxes, photo frames, picture frames, mirror frames, aluminum furniture, garden furniture, aluminum stools, aluminum coffee table, aluminum tables. 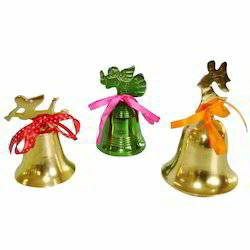 Brass Designer Wooden Handle Bells, brass handle bells, handle bells, brass bells, we are manufacturers & suppliers of brass wooden handle bells, designer ship bells. We offer a range of brass antique reproduction Brass Antique Style Genie Lamp, we can produce the sizes as per requirement, customization is done with us. 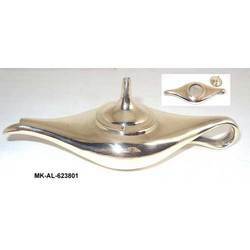 M.K.International has earned an impeccable reputation as exporter and a renowned manufacturer since its establishment, M.K.International has been catering to the requirement of premium quality handicrafts, gift items, home decor, wedding decoration, X-mas decoration. Our biggest strength is its capability to customize designs & manufacture as per the latest trends in the international market. The range is absolutely exclusive & clearly reflects the designer edge over the other available items in the market. Special designers & stylists at M.K.International work constantly to design as per market trends and requirement. Continuous product improvement and quality enhancement in both design & cuts are the prime factors behind the company's success. Embellished with intricate patterns and elegant designs, our wide collection of art simply knows no limits. Our clientele comprises of individuals, wholesalers, stores and distributors worldwide. 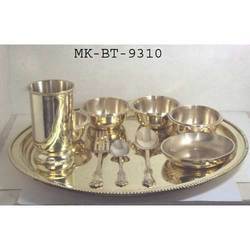 Brass handicrafts, Brass Home Decors, Metal Gifts, Metal Handicrafts, napkin Rings, Christmas napkin rings, beaded napkin rings, wedding napkin rings, corporate gifts, brass corporate gifts, diwali gifts, wedding gifts, business gifts, candelabras, Christmas decoration, table decoration, bowls, platters, table decoration, knife rests, table cloth weights, table place cards, nautical gifts, nautical decoration, t-lights, tableware, nautical instruments, nautical antiques, nautical antique reproduction, nautical theme gifts, wooden handicrafts, wooden boxes, wooden decoration, antique reproduction, fire place accessories, fire place tools, horn-bone handicrafts, Christmas ornaments, Christmas hangings, silver plated gifts, silver plated articles, silver plated tableware, E.P.N.S. wares, silver plated wedding gifts, silver plated bowls, gold plated wedding gifts, gold plated bowls, beaded placemats, beaded coasters, aluminum handicrafts, aluminum bowls, aluminum platters, wrought iron handicrafts, wrought iron garden accessories, copper ware, copper handicrafts, brass antiques, copper antiques, pewter antiques, diwali gift boxes, sweet boxes, chocolate boxes, dry fruit boxes, photo frames, picture frames, mirror frames, aluminum furniture, garden furniture, aluminum stools, aluminum coffee table, aluminum tables. 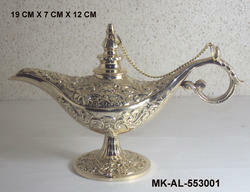 Brass Aladin Lamp, Brass Genie Lamp, Brass Antique Aladin Lamp, Aladin Lamp, Antique Genie Lamp. 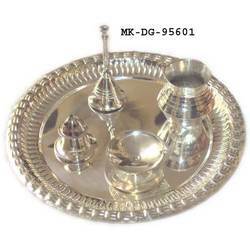 We offer a quality range of Brass Pooja Thali to be gifted on Diwali. 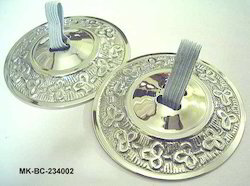 We are manufacturers & exporters of brass finger cymbals, brass zils, brass cymbals, metal finger cymbals, belly dancers cymbals, brass finger zils. Brass 5 pieces ( Shovel, Tong , Brush, Spike & Stand ) Fire Side Tools Set. Size Height 5 Inches Aprox. 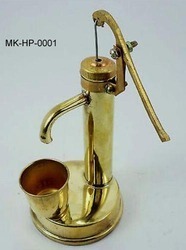 Brass Decorative Handpump. Its works. Packaging Details: Will be supplied in proper packing. 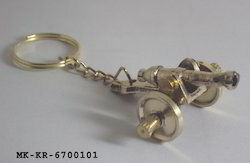 We are suppliers of Brass Cannon Key Rings, M.K.International is one the suppliers of brass keychains. 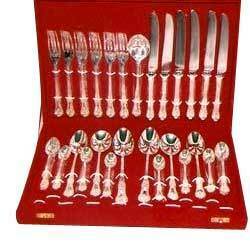 We are manufacturer and exporter of all types of metal handicrafts. 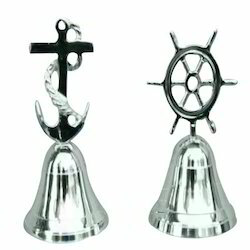 Brass Nautical Bells with Anchor & Ship Wheel Handles. 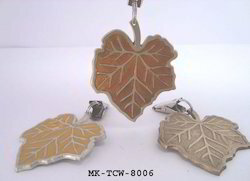 Brass leaf shape table cloth weight. Brass flag poles with custom design & sizes. UAE flag stand. 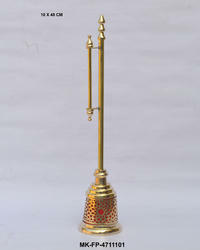 We offer an exclusive range of Brass Bhojan Thal in various designs & finishes. 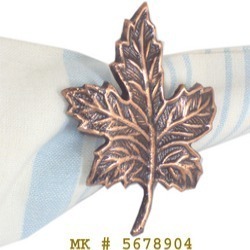 Brass Leaf Napkin Ring (904), Leaf shape, copper finish.We have a vast range of these napkin rings. 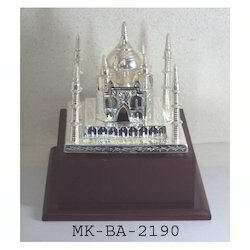 We offer Brass Taj Mahal miniatures of historical monuments. 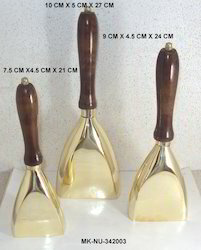 We are suppliers of Copper Puja Bell. 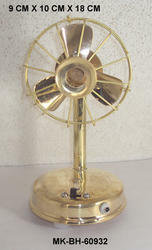 Looking for Brass Handicrafts ?